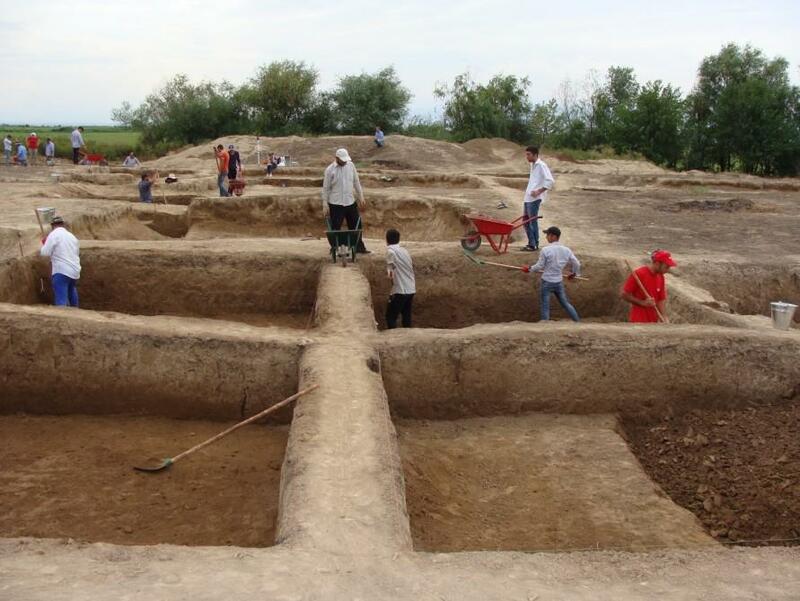 Shamkir-Garacemirli Azerbaijan-German international expedition has carrying out archaeological researches in Gurbantapa and Derya Yatag monuments located near Garacemirli village of Shamkir region since August 2018. 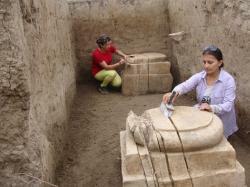 Investigations at Gurbantapa monument are continued in the remains of palace built in the style of Amani architecture in the 5th century BC. Head of the expedition of the Institute of Archeology and Ethnography of the Azerbaijan National Academy of Sciences (ANAS) Emil Isgandarov and scientific workers Sevinj Huseynova, Ulviya Heydarov and Faig Babayev were involved in archaeological researches. The German side is represented by the director of the State Collection of Antiquities in Munich and Glittering Museum, Professor Florian Knaus, Department Coordinator at the Department of Asian Studies in the Ludwig-Maximilians-University of Munich (LMU), Dr. Kai Knut. Isgandarov said that because of its size and the condition of the building this palace distinguished from similar monuments in the South Caucasus, and it has a great scientific significance. The archaeological excavations in this complex which consists of several buildings started in 2006. 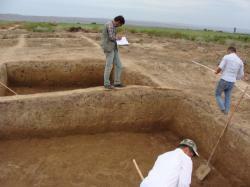 The results obtained during the current excavations are quite interesting. The slab of columns made of several stones and mud-brick walls were investigated as a result of new excavations. 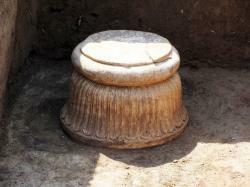 Some of column slabs were found in an incomplete form. Generally, finding less archaeological materials, and at the same time founding incomplete column slab allow to say that the construction of the palace has not finished. It can be related with international political events in the region.